AMY GOODMAN: This is Democracy Now!, The War and Peace Report. I’m Amy Goodman, with Juan González. JUAN GONZÁLEZ: We continue our conversation with Hiroshima survivor Setsuko Thurlow. She was 13 years old when U.S. warplanes dropped the first atomic bomb on the city on August 6, 1945, killing 140,000 people and seriously injuring another 100,000. President Obama spoke today at the Hiroshima Peace Memorial Park, becoming the first sitting U.S. president to visit the city. PRESIDENT BARACK OBAMA: The world was forever changed here. But today, the children of this city will go through their day in peace. What a precious thing that is. It is worth protecting, and then extending to every child. That is a future we can choose, a future in which Hiroshima and Nagasaki are known not as the dawn of atomic warfare, but as the start of our own moral awakening. AMY GOODMAN: Those were the concluding words of President Obama’s address today at the Hiroshima Peace Memorial Park. Hiroshima survivor Setsuko Thurlow is joining us for Part 2 of our conversation, joining us from the studios of the CBC in Toronto, the Canadian Broadcasting Corporation. Setsuko, in Part 1, you gave one of the most graphic descriptions of a war survivor I have ever heard, surviving the atomic bombing on that day in Hiroshima, when you were 13. As you listen to President Obama, can you—did you expect an apology? And can you respond to what he said? SETSUKO THURLOW: Well, first of all, let me say, as I listened to his voice talking about the precious lives of the children who were lost, I was thinking of my four-year-old nephew, who was burned and blackened beyond recognition. I cared for them for several days. He died, together with his mother. He just happened to be walking over the bridge to the doctor’s. That’s why this was his fate. And whenever I remember their agony, I think of all the children. My four-year-old nephew came to represent all the children of the world. And that’s a very important image I have, burned to my retina, as I keep speaking to the people of the world about the danger of nuclear war. So, anyway, I had tears when I listened to the president, as far as that is concerned. Now, your question whether I want a apology, now, this has been talked about both here in the United States and Japan, too. If the president offered it, I think it’s appropriate. If he chose not to offer it, I understand, given American political climate. Well, I hope I made my idea clear. Well, certainly, we deserved it. We could have received apology, although I don’t—I didn’t demand. I think apologies should be voluntary action. What meaning does it have if we force other party to say sorry? But really, the killing of massive humanity, including my nephew and hundreds of thousands of innocent noncombatants indiscriminately—the killing noncombatants in war, that’s a—it’s immoral, and it’s forbidden by the international law. But that was the pattern of mass killing, started in Tokyo, and about 70 percent of the urban centers of Japan had been destroyed. And Hiroshima was the 10th largest city. And we waited for it, and we kept wondering why Hiroshima was not attacked. Little did we know that the U.S. had a secret new bomb they wanted to experiment on a special city. So, Air Force was instructed not to attack Hiroshima, although all the other—most of the major cities had been attacked. Hiroshima was kept intact. And you can put two together, that, you know, the new bombs and keeping one city intact, and what’s the connection? I think you can make the guess. Anyway, all this kind of things were happening. Very carefully calculated act. 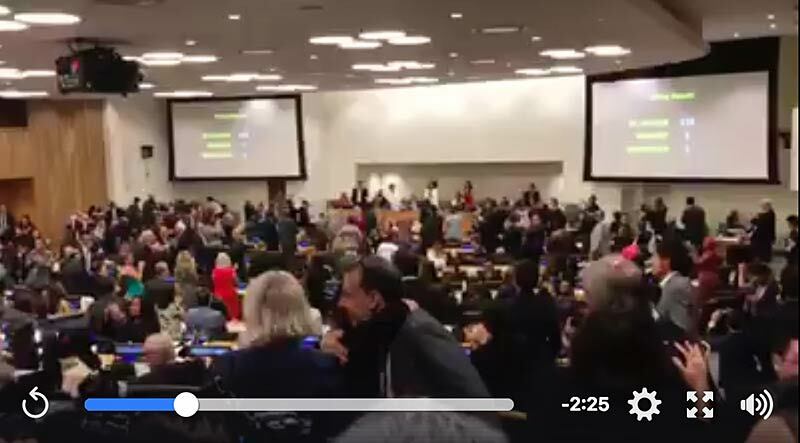 JUAN GONZÁLEZ: Let me ask you, all these decades that you have now—since that terrible day, that you have been an anti-nuclear activist, what do you think the world has learned from the dropping of those two bombs on your country? 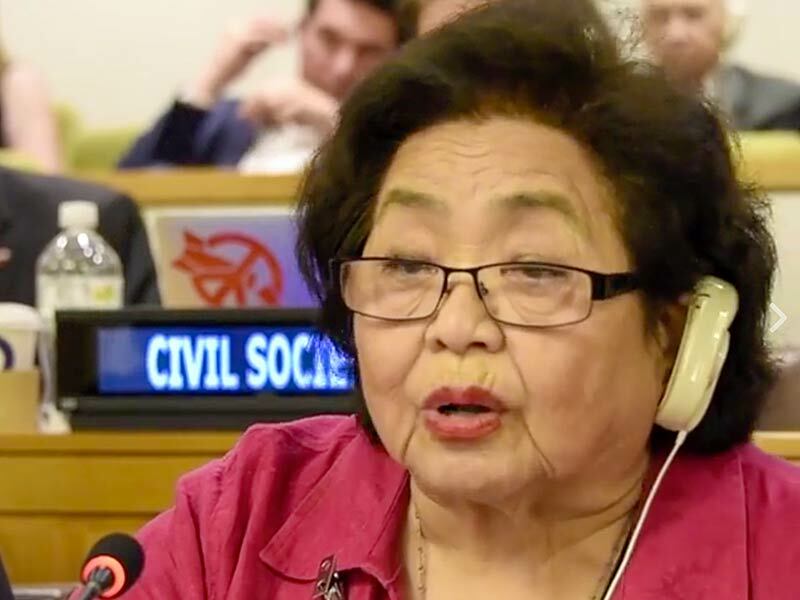 SETSUKO THURLOW: No, unfortunately, people are still denying, and they are living—sleepwalking, I would say. They know a little bit, but they don’t want to face it. They push it in the corner of their brain and pretend as though nothing is going to happen to them. But we do have close to 16,000 nuclear weapons. Each one of it is much more destructive than the little one dropped over my head. Sixteen thousand of them, owned by nine—five nuclear weapon states recognized by the U.N., and four additional nations. And people just don’t even know this kind of simple fact. 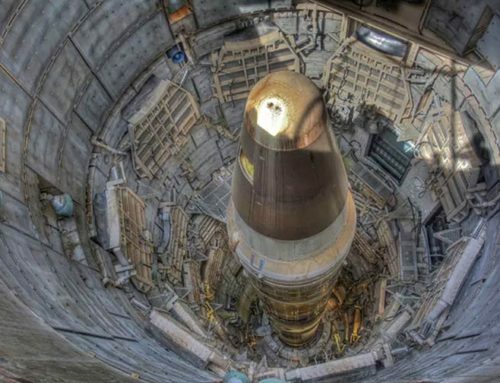 And Mr. Obama just recently declared that he was planning to spend $1 trillion to update a weapons system, I mean, to modernize nuclear weapons and delivery system, $1 trillion. What can we do with that money for schools, hospitals and community services and so on? We have been depriving people’s daily lives in order to waste the money to make the armaments to kill masses of people, not just small troops and soldiers and so on. I mean, those strategies are planning to be effective in killing, by killing more in a more cruel way. And this time, I think Mr. Obama talked about—well, maybe strategists talked about making a more usable type of nuclear weapon. Well, to me, the whole thing and whole effort of having more and more, by more and more nations, for over 71 years, this is just simply insanity. 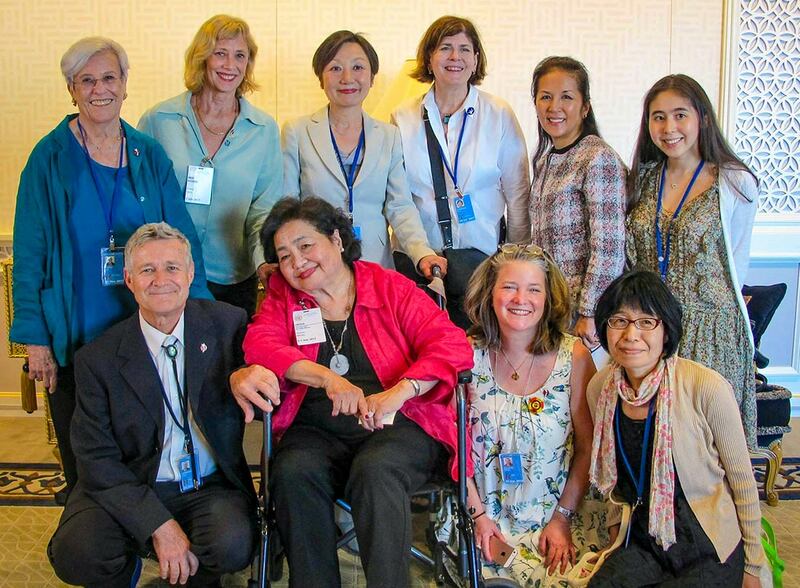 And it pains me, it pains many other survivors who survived, because we have been recording our painful story to tell the world as a warning about the danger of nuclear weapons. I want the world to wake up to the reality of this totally unacceptable reality. And I hope more people will stand up and say, “We are not going to take this nonsense anymore.” As a matter of fact, 127 nations signed the humanitarian pledge, and they are saying we have waited for so long for the nuclear weapon states to fulfill their legal responsibility, obligation of the Nuclear Nonproliferation Treaty, and to start working for the elimination, abolition of nuclear weapon. But they haven’t done anything in 45 years. Therefore, we non-nuclear weapon states are going to stand up and take the initiative toward that goal—and civil society, like International Red Cross, and the NGOs, like ICAN. And so, the government and nongovernment people are standing up and now working. 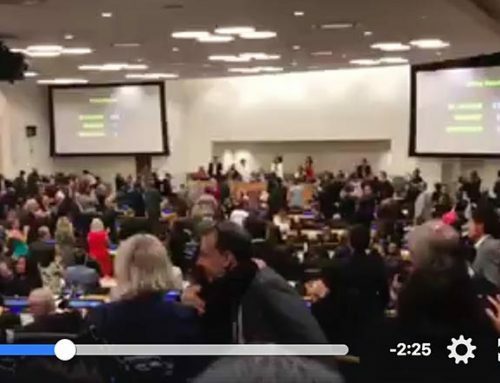 As a matter of fact, this year, United Nations created a open-ended working group, and which met in February and this month and once again in August. 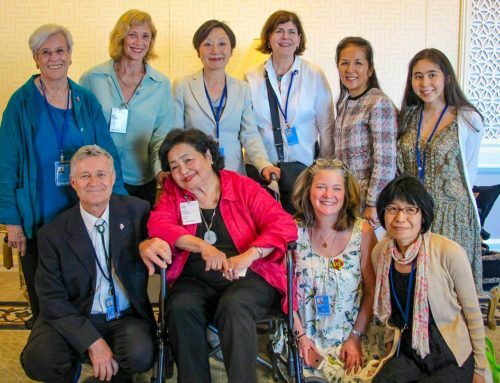 And this group will be making their recommendation to the General Assembly in September about the way of achieving a prohibition and elimination of nuclear weapons. In other words, let’s ban the nuclear weapon. It’s not impossible. Mr. Obama talked about it might take a lifetime. It shouldn’t. We have waited 71 years. We just cannot wait another 71 years. It has to happen tomorrow, really. That’s how I feel. The sense of urgency is real. I wish Mr. Obama said something like that this morning in Hiroshima, with a stronger sense of commitment and urgency, and come up with concrete actions, not rhetoric. 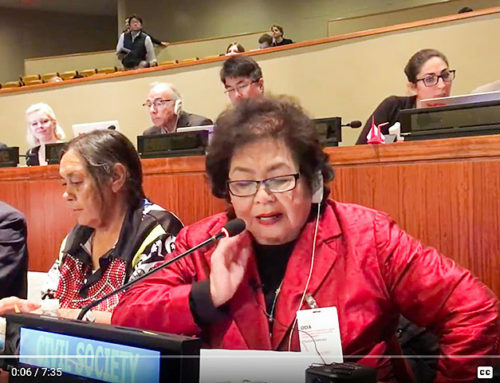 AMY GOODMAN: Setsuko Thurlow, the meeting that’s taking place this month in Geneva, nearly a hundred countries discussing the prospect of a nuclear ban treaty. Where was the United States in this? SETSUKO THURLOW: They weren’t even there. None of the nuclear weapon states were there. You can understand why I am upset. Do they really seriously thinking of the day without nuclear weapon? He often talks about it. Does he really mean it? I have serious question. We have to start getting rid of them as quickly as possible, before the accident takes place, before terrorists take serious action. I have seen the massive death and suffering, and I don’t want to see the similar situation multiplied by the hundreds and thousands. I just can’t understand. I want the United States—as Mr. Obama said, United States has the moral responsibility to lead action toward abolition. Please back that statement with concrete action, soon. AMY GOODMAN: He didn’t even know the word “radiation.” He talked about some kind of A-bomb sickness, people with their hair falling out. SETSUKO THURLOW: Yeah, right, right. AMY GOODMAN: The United States government and Leslie Groves, head of the Manhattan Project with J. Robert Oppenheimer, would call this Japanese propaganda. The New York Times would write a series of articles countering this. Their reporter, William Laurence, was actually on the payroll of the Pentagon, as well. What about radiation and what you understood at the time? I mean, you were 13. You saw that—many bodies, but you also saw people surviving and then dying. AMY GOODMAN: What did you understand was happening to them? SETSUKO THURLOW: Well, my school built a hut in the mountain, and the school invited us back. We were so happy to find who survived. Well, you know, many girls showed up wearing the bonnet or scarves, because they were bald, bald-headed. And I lost my hair, too, not completely like other girls. I was inside the building. Maybe that helped. But I, too, lost hair, bleeding from the gum, internal bleeding and diarrhea and all these kind of common symptom everybody shared in the city. Let me talk about my favorite uncle and aunt. We heard that they were OK, they survived, they were alive, and they didn’t have any external evidence of injury. But a week later, their bodies started showing purple spots all over the place. And there was a rumor: If you have that purple spot, that was a sure sign you’re going to die. So, in those days, the first thing we did in the morning, before we got dressed, was to check every part of our body to make sure we didn’t find. That was the kind of anxiety we lived with. Anyway, my parents looked after this sick uncle and aunt. And according to my mother, their bodies, my uncle’s and aunt’s bodies, seemed to be their internal—their internal—what is the word? The stuff inside the body. SETSUKO THURLOW: Yeah, that seemed to be rotten and dissolving and coming out as thick black liquid. So, my mother had to use any old material or old newspaper to use as the diapers, well, until their deaths, that everything came out from their body just in a thick black fluid. Radiation seemed to have affected people in many different ways and many different times. Somebody died immediately, and some a week later, month later, a year later. And, you know, that famous little girl who folded the paper cranes, I think she died 10 years later. The fact is, 71 years later, today, people are still dying as a result of the delayed effect of radiation. Atomic bomb hospitals are full of those people. So, the effect has been continuing on and on. And so, every time I go to Japan, I go to the atomic bomb hospital, I get a close checkup. I am grateful for that. And I am kept OK on a medication. AMY GOODMAN: You are speaking to us from Canada right now, from Toronto. AMY GOODMAN: You were a social worker in Canada, and you also have taken on anti-nuclear activities your whole life. AMY GOODMAN: What is the message you want to leave people in Canada with, in the United States with, and people all over the world today? SETSUKO THURLOW: Stop pretending. Face squarely the reality. 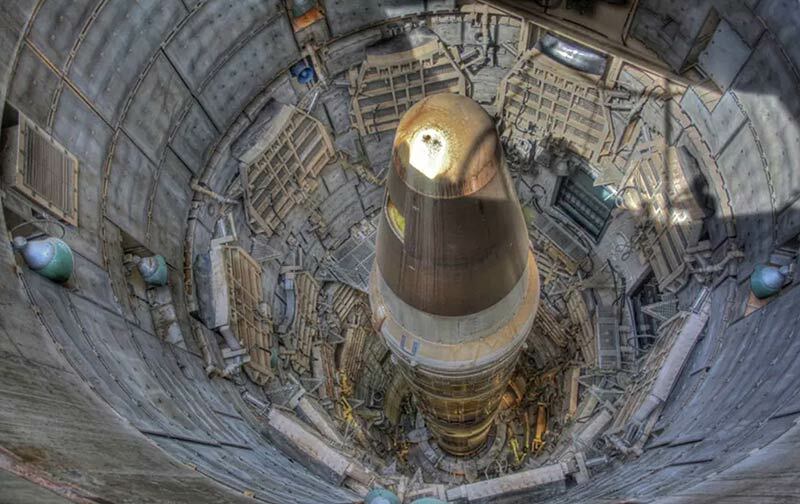 Find out unacceptable reality of nuclear weapons. We can’t just leave it to the politician, military experts. They believe—the nations which still have those nuclear weapons, they believe in military doctrine of deterrence. They think by having more wicked stuff and by threatening the people, they can maintain security. But, to me, it’s just sheer illusion and delusion. I want the people to come out of that mentality. SETSUKO THURLOW: Justin Trudeau? I don’t know if he has had a chance to inform himself about this. He seems to be busy with other issues. But really, it’s about time he should put himself to learn the issue. And together with the foreign minister, I’d like to see the change, and just don’t hide behind U.S. military doctrine. Just because Canada is a member of NATO, I guess it has the military moral responsibility. But it can choose to be more independent, more free and democratic. Democracy is really the key. In this nuclear age, democracy doesn’t seem to be valued. You know? In secrecy, things are decided and implemented. And I don’t feel my views are listened to appropriately. Millions of people working around the world are feeling the same. And we are not going to take it. 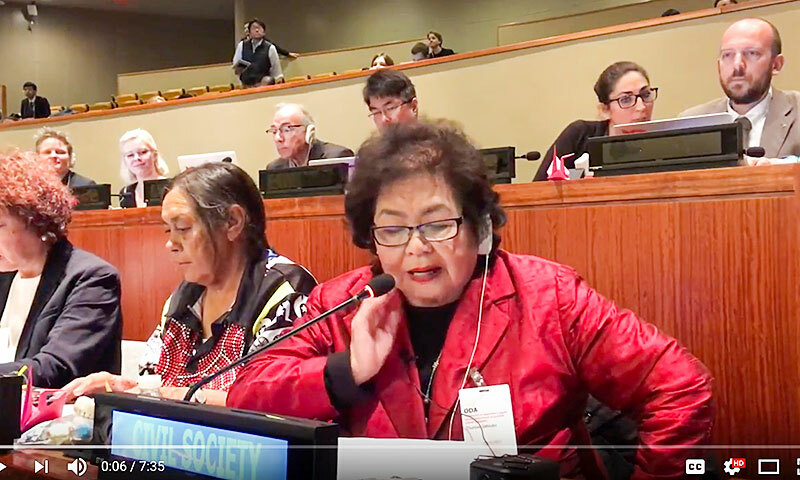 AMY GOODMAN: Setsuko Thurlow, I want to thank you for being with us, a survivor of the U.S. bombing of Hiroshima in 1945, the first U.S. atomic bomb to be dropped in the world, followed by the second. Three days later, the U.S. dropped an atomic bomb on Nagasaki. Overall, well over 200,000 people killed, well over 100,000 people wounded. It sounds like your voice will be heard in Washington, D.C. On June 6, you’ll be addressing the Arms Control Association annual meeting. Also on the bill, President Obama’s deputy national security adviser, Ben Rhodes. It’ll be interesting to hear if you have a conversation. Thanks so much for being with us, joining us from the studios of the Canadian Broadcasting Corporation in Toronto, Canada. Thank you so much. SETSUKO THURLOW: Thank you so much. AMY GOODMAN: I’m Amy Goodman, with Juan González. Thank you for joining us.